Home Entertainment Event GenSan Happening Information News Party Show Trending Neon Rain to electrify GenSan's Ravers! 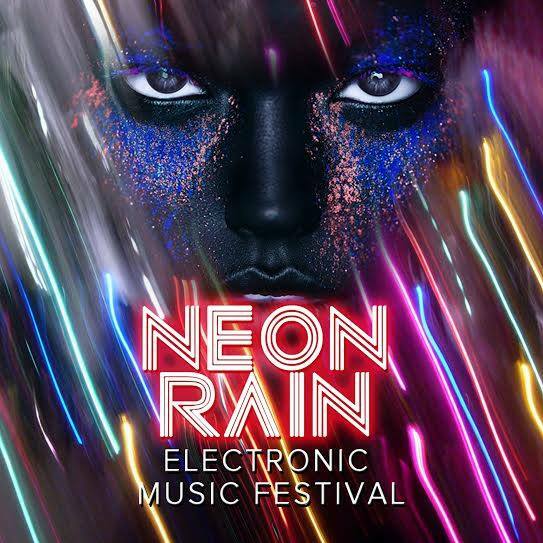 Neon Rain to electrify GenSan's Ravers! Conducive party ground, strobe lights, glow sticks and drinks to hype the beat are what make an impeccable rave party an amusing to get wild with. Although rave party has a lot of variations depending on the theme or cerebration being celebrated, yet what makes all these rave parties alike is the sole definition of a place where people go to listen to techno music and have a great time. Rave parties are now becoming a new party trend. With Filipino’s creativity, it surge in popularity like adding neon powder or paint colors to make it more vibrant and festive. 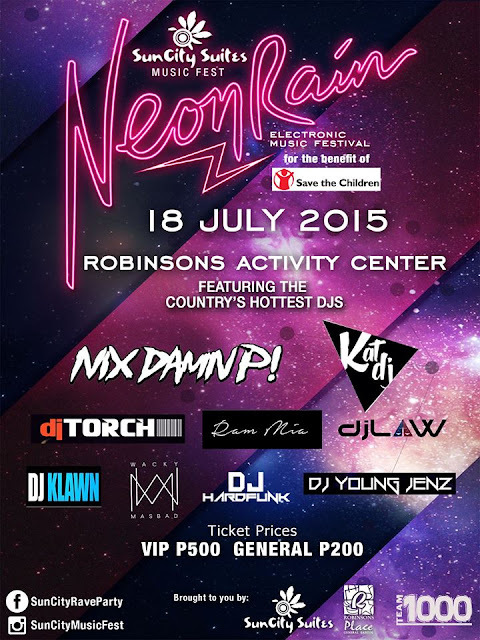 In line with this, today’s most colorful rave party dubbed as Neon Rain in celebration of SunCity Suites Music Festival is coming to town this July 18, 2015 at Robinsons Place GenSan Activity Grounds highlighting the hottest DJ’s in the country. To score free tickets, visit SunCity Rave Party facebook here. This event is brought to you by SunCity Suites, Robinsons Place – GenSan and Team 1000. Part of the proceeds will be for the benefit of Save the Children Foundation. So what are you waiting for? Get your tickets now and geared yourself for this year’s most anticipated rave party.